It’s been my experience that doctor offices can be stuffy and not exactly an exciting place to be. NanSee EyeWear has been changing that image for some time. In 2003 I did away with sterile white uniforms which has been a game changer for kids and adults. Here you are allowed to browse my frame selection as long as you like. I never pressure you into a sale or talk you into something you don’t need. Since my move I’ve added coffee and hot chocolate and you may find a homemade goody to munch on while you make your frame decision. You can even take pictures of yourself using my iPhone all in a friendly welcoming environment. Whether you’re here for styling, repair, just to look around or for a friendly visit, you are welcome here. As a small town optician and sole owner, I conduct business with honesty, integrity and fair pricing for all. I’m a graduate of Evergreen High School in Metamora. I’ve worked at a few jobs before being employed by an optometrist as an apprentice for over thirteen years. I’ve had many hours of study besides valuable hands-on experience in optical. I received my Ohio State License as an Optician/Contact Lens Dispenser in Columbus Ohio in 2002 and am a member of Opticians Association of Ohio. I am married to John O. Martinez Jr. We have two sons and four grandchildren. 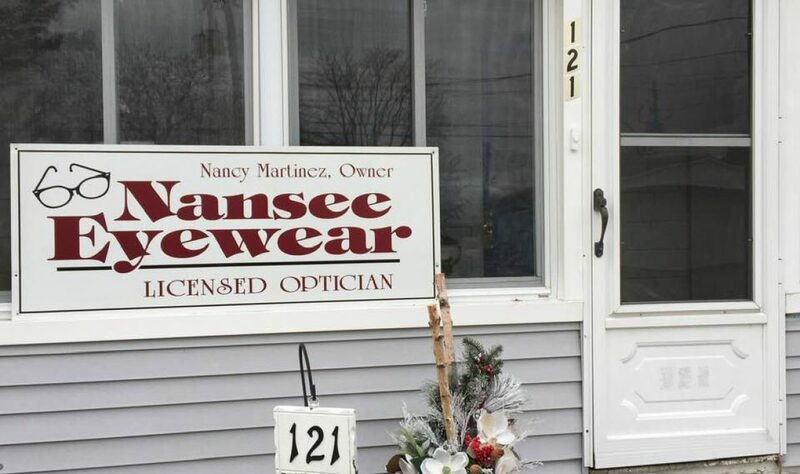 NanSee EyeWear is located in TEDROW/Wauseon. Just four+ miles northwest of her previous location. If you are headed north on 108 from Wauseon and pass the Fulton County Fair Grounds, the first county road pass the fair grounds is county road J, turn west (left)., drive a little over 2 miles and you’ll come into Tedrow. The 4th block into Tedrow is Spring St., turn north (right) and I am the first house on left side of road. Come in through the front porch door and I’ll be there to great you. Hours of operation: Service will be provided by appointments only. Which allows for more flexible days and times for styling, adjustments, insurance questions and repairs etc. For you and me.